After my disastrous experience reading Louise Penny’s Still Life, I decided to return to the Golden Age of detective fiction: back when good plots were more important than overwriting a story with an obvious conclusion. And what better way to contrast the two experiences than to go to one of the “Humdrums”: authors with such a bad reputation that you’d think they were unable to entertain so much as a drunken fish. But I’ve challenged this point of view many times on my blog, and I will do it again. So I decided to go back to a reliable favourite: Henry Wade. Henry Wade was the pseudonym of Major Sir Henry Lancelot Aubrey-Fletcher. I’ve said it before, but because his real name is so damn awesome I decided to say it again anyways. He’s perhaps best known for his series character of Inspector Poole, but he also wrote the fantastic inverted mystery novel Heir Presumptive, one of the best books I’ve ever read, regardless of genre. But today I decided to return to Inspector Poole, in Wade’s third book, The Duke of York’s Steps. Sir Garth Fratten is a wealthy financier with plenty of influence, but of late his heart has been giving him trouble. So his doctor advises him to lighten his workload—after all, the euphemism “heart trouble” is really covering up a thoracic aneurism. Even the slightest shock could prove fatal to Sir Garth. So when a man accidentally barrels into Sir Garth on the Duke of York’s Steps, it really shouldn’t come as a surprise that Sir Garth dies as a result. But there are some odd things about this accident, and after a while, some brows are raised in high quarters of Scotland Yard. How could the victim have moved such a distance after receiving his fatal shock? Why hasn’t the man responsible come forward? Was this really an unfortunate accident, or a complex conspiracy of murder? Inspector Poole is sent to investigate. 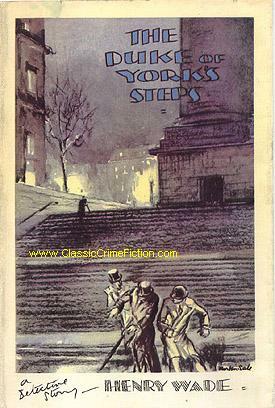 I personally loved The Duke of York’s Steps, and I’d like to take this time to thank Curt Evans for giving me a copy of the book. I’d also like to thank him for his warning about the copy’s dust-jacket—it turns out that there is a major spoiler on the cover! It not only shows you the murderer in action, it shows you what the (devilishly ingenious) murder method is! Shame on you, Harrap’s Shilling Library! If not for the warning, this book would have been spoiled for me! And I’m so glad it wasn’t spoiled. This is a complex mystery and Inspector Poole’s investigations are very reminiscent of a police procedural. He must investigate every layer of the case, follow up the most unlikely leads. I particularly liked how, when he asks about a gentleman’s alibi at his club, the staff cannot at first remember the date because it was three weeks ago, and only after recalling an unusual circumstance about the day in question can they give any information whatsoever. Poole must also deal with his superiors, such as Chief Inspector Barrod, a man who doesn’t like Poole because he believes he was promoted far too quickly. And Poole isn’t on the case 24/7 like some inhuman detection machine— he takes a weekend off, for instance, and this only does him a world of good when he returns to the case. Plenty of complications arise throughout the investigation, and the way the mystery is slowly unravelled is quite simply marvellous. And then there’s the characterization—it’s again terrific. Sir Garth’s son Ryland at first seems like your typical ne’er-do-well heir, but he turns out to have some real complexity to his character. It’s buried beneath the surface and comes to light slowly. Similarly, Ryland’s sister, Inez, is your typically cheerful amateur investigator, but she too has her complexity, and although she strives to clear her brother’s name of suspicion, she has moments where she doubts her brother is telling her the whole truth. And Sir Garth himself is not your typical, miserly, hateful victim who is just asking to be killed. He’s a genuinely sympathetic man, who tries to love his children but who finds them rather a handful and who cannot help but worry that one day they will fall into trouble that he will be unable to save them from. Heck, there’s even a romantic interest that certainly would have raised eyebrows in its day! Sir Hunter knew perfectly well that … he was behaving rather childishly, but he was irritated by an entirely extraneous consideration. He was, in sober truth, jealous of the position of power occupied by Marradine, a man considerably junior to him in the Army, a man, furthermore, who had only served for about five minutes in France and that only in a soft “Q” job. … Sir Hunter would not in the least have objected to being interrogated by a proper detective—he merely objected to Marradine. Or how about when we are introduced to that financier in question? He had done well in command of a division in France (or, what was considered the same thing, the division which he commanded had done well) and was now confidently engaging in a campaign in which he would be even more dependent on the skill of those serving under him. 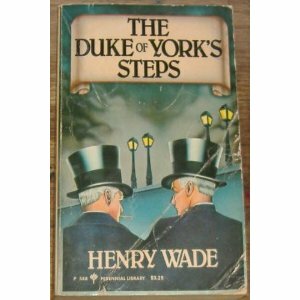 The Duke of York’s Steps is a great example of Henry Wade’s strengths and comes highly recommended… if you can find a copy, that is! I have no idea why Wade is a forgotten author these days— it is a situation that continually baffles me. Here we have a terrific author who could write characters and create a complex plot. He could wittily criticize the upper class and its shortcomings, although he was a member of the upper class himself. And yet, for no reason I can see, Julian Symons labelled him a Humdrum and people have been mindlessly repeating that ever since. My guess is that Symons never read a single Wade novel and simply wrote the opposite of what Barzun and Taylor wrote in A Catalogue of Crime. You're right, Symons' misunderstanding of Wade is the worst judgment in his generally superb study of the genre. I can only assume he was relying on imperfect memories of books read many years earlier. As for this novel, it's by no means Wade's best, but I agree that it has real merit. As I mention below, I find it very hard to believe Symons *ever* read Wade, for reasons I've given a few times. His dismissal of him, as well as his (bizarre) classification of Gladys Mitchell as a Humdrum, are just a few of the things that get me to raise my eyebrows. In fact, much of BLOODY MURDER makes me raise my eyebrows... but at the same time, I consider it the best work of its kind! My issues with it could take up a book of its own, but it's the best we have for now. My theory, as I discuss in Masters of the Humdrum Mystery, is that Symons included Wade in his dismissive Humdrums list on account of Barzun praising him so highly in A Catalog of Crime, along with John Street (mention of Wade is added in the second edition of Symons' book, of which there are three editions). Symons seemed to be under the impression that he and Barzun disagreed on everything, which certainly is not true (Barzun even included Symons' The Narrowing Circle in his 100 crime fiction classics series). Humdrum seems to have come to mean to Symons any writer he personally found boring. Hence his inclusion of Gladys Mitchell as a Humdrum. It would be hard indeed to find a writer more far removed in style from the so-called (by Symons) King of the Humdrums, Freeman Wills Crofts. But then Symons never discusses any Humdrum writer in detail besides Crofts. I know he reviewed Street novels in the late 1950s and, as I mention in my book, his use of the word Humdrum, goes back to that period, when he refers to Street as having become, with the death of Crofts, the reigning master of the humdrum. Since Symons never discusses these writers in detail, all we have to go on with Symons is Symons' word. But in the case of Wade, the categorization is baseless and I would say it is so as well with Mitchell. By Symons own admission, he only read a few of her books, all from the 1940s. If he had read Speedy Death, say, or St. Peter's Finger or The Devil at Saxon's Wall, he would have had a more informed opinion. Any category that is stretched to include both Gladys Mitchell and Freeman Crofts is elastic indeed. Even with Street, how much of his work before the 1950s had Symons actually read? Who knows? If you want to know about Street's books in any informed way you'll have to read my book, not Symons' opus. That said, Symons' book remains the best survey of the mystery/crime fiction genre, in my view, despite my disagreements with it. 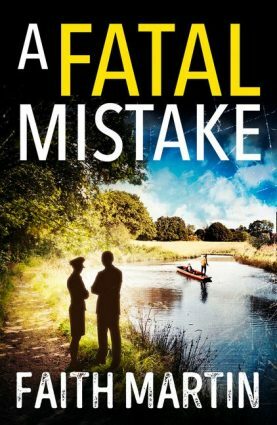 It certainly hasn't been displaced by P. D. James' impressionistic and skimpy (if typically elegant) Talking about Detective Fiction or, in terms of readability, by Stephen Knight's Crime Fiction. To my mind, the best critical overview of the detective genre is "Perfect Murder: A Study in Detection," by David Lehman. And Lehman, in an appendix devoted to "recommended titles," does cite Wade's "Heir Presumptive." I've never read Wade, but Patrick's excellent review will definitely push me toward doing so. Hopefully you enjoy Wade-- I know I absolutely love him. Even his weaker work, like GOLD WAS OUR GRAVE, has *some*thing of interest there somewhere. And HEIR PRESUMPTIVE is really a terrific read! I have reviewed my copy of Symons's Mortal Consequences. I cannot find that he mentioned Henry Wade anywhere in the book. The "Humdrums" section in chapter VIII lists the following as humdrums: Freeman Wills Crofts, John Rhode, R.A.J. Walling, J.S. Fletcher, and G.D.H. Cole. Symons may have addressed Wade somewhere else in his writings, but I can't find it in Mortal Consequences, or for that matter, any lengthy discussion by Symons of the so-called humdrums. Raymond Chandler spoke well of Crofts, and I respect his critical acumen much more than that of Symons. I think the best thing we can do is to drop Mortal Consequences in the trash bin of history where it belongs and get someone else to write a modern general history and critique of the mystery field. Wade was an adult writer in a field that too often caters to the adolescent. 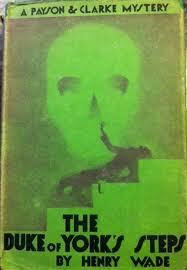 His Mist on the Saltings is that rare book, a first-rate mainstream novel and a first rate fair-play detective novel, a book fully the equal of Chandler's The Long Goodbye. Henry Wade is mentioned in two sentences in BLOODY MURDER, both times swiped aside as just a Humdrum. It's why I simply cannot believe that Symons ever read Wade in the first place-- the sentences were added in the second edition, after ACOC praised the likes of Wade along with John Rhode. I know Chandler liked Crofts, but he also liked Dr. Thorndyke-- and anyone who likes him cannot be all that bad! Symons, however, IIRC, called his stories rather like "dry straw". Patrick, glad you didn't look at the cover! I think this is the first of Wade's really mature novels and I wish everyone had a chance to read it. It was reprinted in pb in the 1980s but even those editions are disappearing. I think a few Wades were reprinted back then-- it's where I got my copy of HEIR PRESUMPTIVE. But I far prefer my library's 1937 edition, even though it has no dust-jacket of any sort. But it's still kind of annoying to try locating it. It's not as hard to find as, say, John Rhode's THE BLOODY TOWER, but we're starting to get to that point with Wade. A frightening thought, that! We really are in desperate need of reprints. Someone contact the Langtail Press!